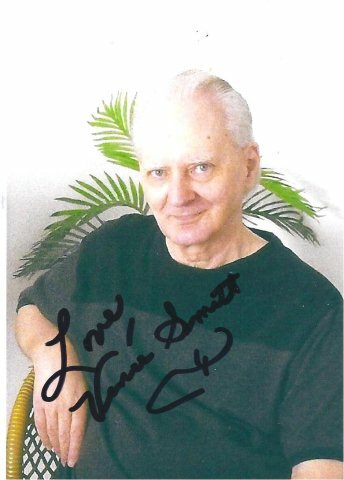 Vince J Smith, a country singer-songwriter, is probably best associated with his long time friend, Annette Funicello. As a tribute to her, he wrote “My Annette”, which became a hit song then and is still loved by many today. There are two versions – the original and the remake, which has more of a country sound. Vince, born March 20, 1943, began his recording career at the age of 41, along with his brother, Rick, in 1984. They recorded in the same studio where Elvis Presley got his start, the old Sun Records Studio, then known as the Sam Phillips Recording Studio in Memphis, Tennesee. They had several hit songs, one “I Don't Want to Be Alone”, was written by Rick, as well as another called, “Old Country Love Song”. The same year marks the beginning of his battle with multiple sclerosis as well, although he wasn't diagnosed with it until later. He is doing well, and the MS is controlled, most likely thanks to his wonderful wife, Lorraine, and the music that has been such an integral part of his life. After signing with Hearttake Song Records in Nashville, TN., he met Carol Redo, who was one of his backup singers, before he asked her to become his partner. Their voices blended so well together and they recorded several songs which also became hits. As you know, when you have MS, each day can be a challenge. However, Vince has continued to share his wonderful songs whenever he is able. He maintains several sites and stays in touch with fans and visitors, by answering mail, emails, and comments. (These links will open a new window). Would You Like to Leave a Comment for Vince Smith? Do you have a comment you'd like to make about this page? Would you like to leave a comment for Vince? Well, you can add your comment below. My new single is finished, when you purchase it the money goes to Life In Spite Of Ms.
Head back to Famous People with MS.